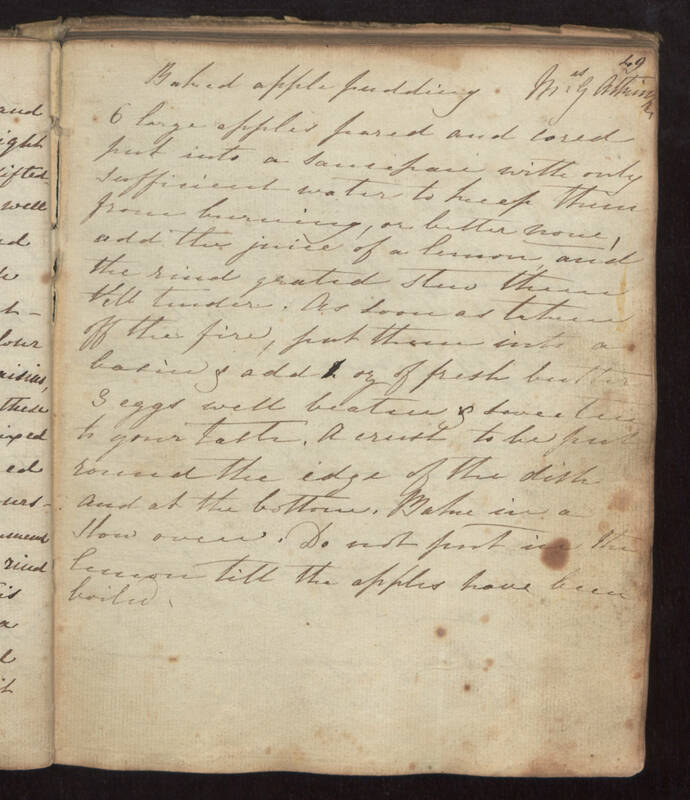 49 Baked apple Pudding Mrs. G [illegible] 6 large apples pared and cored put into a saucepan with only sufficient water to keep them from burning, or better [wine? ], add the juice of a lemon, and the rind grated stew these till tender. As soon as taken off the fire, put these into a basin & add 1 oz of fresh butter 3 eggs well beaten & sweeten to your taste. A crust to be put round the edge of the dish and at the bottom. Bake in a slow oven. Do not put in the lemon till the apples have been boiled.